Many randonneurs are planning to ride in Paris-Brest-Paris (PBP), the famous 765-mile ride in 2011. The next edition of PBP will bring some changes to deal with the large number of participants. PBP is organized by the Audax-Club Parisien (ACP), the influential cycling club founded in 1903. The ACP created the Randonneur PBP, the Flèche Vélocio 24-hour rides and many other events. Today, the ACP continues to issue the rules for all randonneur brevets world-wide and validates the results. JH: Many randonneurs are worried that they may not get to start in the upcoming Paris-Brest-Paris, even if they complete the qualifying brevets. Will there be many randonneurs who cannot enter the event due to a rider limit? Faburel: We hope to accommodate all riders who want to participate in the 2011 PBP, but we will do this only under two conditions: 1. We find the means to accommodate more than 6000 people. 2. The French government does not impose a rider limit. Today we are assuming 6000 starters, a number which may increase or decrease. We hope that we won’t have to turn anybody away. JH: If there is a problem in PBP, it’s the crowding in the controls just before closure time. Riders who already are at the time limit spend hours in line at the check-in, at the cafeteria, at the bathrooms, etc. Do you have any ideas to improve that situation? Faburel: To reduce the waiting at the controls, we have chosen a new control system. There still will be a brevet card that is stamped, but the magnetic card will be replaced by a chip that is attached close to the rider’s foot. The chip will be detected automatically when the rider enters the controls. We also will open new facilities between Loudéac and Carhaix, at Saint-Nicolas-du-Pélem. This will not be a control, but only a spot to eat and sleep. We are looking for similar facilities on other parts of the route. JH: The Audax-Club Parisien (ACP) has a glorious past. You created the “allure libre” brevets, the Poly de Chanteloup hillclimb race that proved the superiority of derailleurs over other gear changing systems, the Flèche Vélocio… A strong emphasis on performance runs through all these events. Does this spirit still exist at ACP? Faburel: The “performance” spirit still is at the heart of the Audax-Club Parisien, but we are open to all forms of cycling. Above all, we believe that the bike is a wonderful vehicle to discover new landscapes and new people. Friendship and friendliness are our primary goals. With that in mind, we can enjoy riding fast from time to time – why not? But it’s important that it remains friendly. JH: In the Flèches Vélocio, many teams ride the minimum of 360 km and stop on the way to sleep (only for two hours with the new rules). You have done a Flèche with many more kilometers. What was your goal? And how do you see the spirit of this event? Faburel: The rules of the Flèche Vélocio have been poorly translated into English. We are looking at publishing a new translation to improve the understanding of this event. Many people think the goal is to ride 360 km in 24 hours. However, the goal is to ride 24 hours without stopping, more or less, and to do the maximum distance the team can do. The basic principles of this event are: 1. Creating a team spirit, starting with the preparation, to enjoy a great cycling experience in a group. 2. Complete a beautiful randonneur ride, even with difficult weather. 3. Arrive at a wonderful destination to meet other riders, and have a good time together talking about our rides… or anything else! When I participate in the Flèche Vélocio, my team usually rides more than 600 km, but we carefully choose our route so that it is as flat as possible. JH: Do you have any advice for randonneurs who prepare for the 2011 PBP? Faburel: For a good preparation for PBP 2011, we recommend building up to the event throughout the year. The brevets should be done in order, just like the other stages toward Paris-Brest-Paris. We understand that some are forced to do the qualifying brevets out of order or all at once, but they should continue training regularly afterward. It is important to ride well in July and into August, to avoid losing the benefit of the qualifying brevets. For those who have time to spare, we recommend participating in the Semaine Fédérale de Cyclotourisme in France. You will ride about 1000 km during that week on well-marked courses with 10,000 other riders. Then you should ride less for a week, and stop a few days before taking off for Paris-Brest-Paris. Another important point concerns the 400 km brevet. We recommend starting this brevet at 4 p.m., to learn riding through the night. Many people come to PBP without ever having spent a complete night on the bike. The first night of PBP can come as a shock for them. Thus, we have a very large number of abandons after 400 km, which is unnecessary. For the 2011 PBP, you will have to change your habits, because the start times are moved forward by three hours. Thus, you will arrive sooner in Loudéac or Carhaix. Avoid stopping too soon, because you would have to leave again in the middle of the night to avoid being outside the time limit. JH: Is there anything else you would like to communicate to the randonneurs in North America and elsewhere? 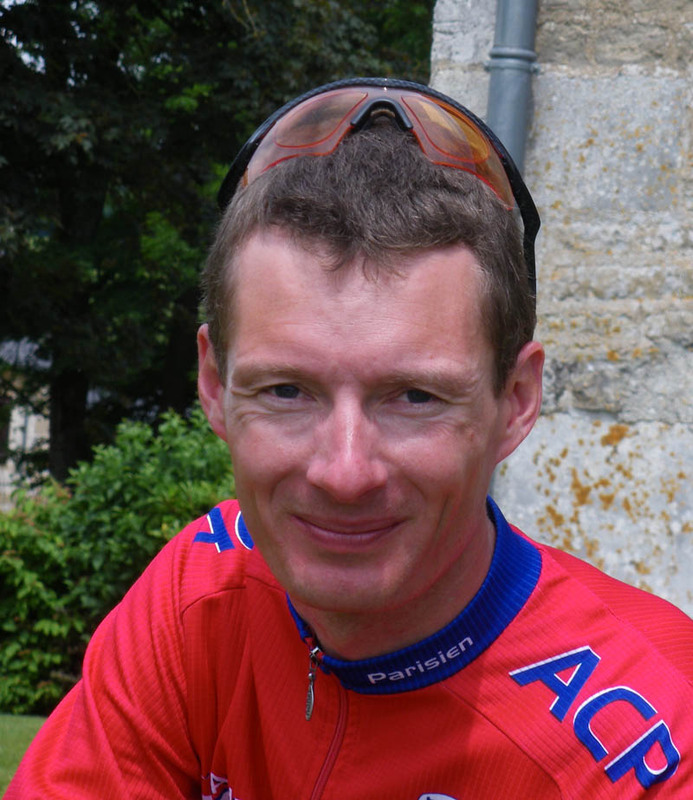 Faburel: I wish all randonneurs a great year of 2011 and many wonderful rides before we meet in Paris in August. For more information about PBP, check Randonneurs USA and the official PBP website. This entry was posted in PBP Preparation, Uncategorized. Bookmark the permalink. Jan, thank you very much for blogging. Reading your blog is like getting a new BQ story several times a week. Wonderful!